VR Platinum has been developed by nationally recognized market technician and former Wall Street Elf with Louis Rukeyser, Mark Leibovit. You may also know Mark Leibovit from his thirty-years as a 'Market Monitor' guest with Paul Kangas on PBS' The Nightly Business Report. This methodology has been the focus of his research for nearly thirty-five years! His trading strategy provides clearly defined risk-management guidelines based on his technical volume indicators. Why You Need VR Platinum! This is your opportunity to watch and learn from a nationally ranked market timer! You've heard of dozens of methods of technical analysis but many have been diluted time and again by the sheer mass of traders that use them. This is your chance to profit from VR Platinum's unique and proprietary approach to short-term trading opportunities. VR Platinum's methodologies and tools are not freely available to other market technicians or strategists. This gives you a strong competitive advantage! VR Platinum offers specific recommendations, entry points, targets, stops for individual stocks and stock indexes (Exchange Traded Funds -ETFs) and other valuable information regarding short-term timing signals for the overall market. All of these are sent to your email, as well as being posted on the website. 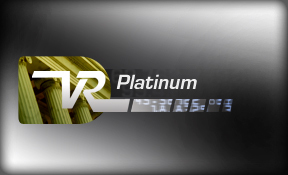 VR Platinum is published pre-market and with intraday bulletins 48 weeks per year. Some recommended trades may include securities held by company affiliates and their personal investment decisions and trading decisions may be different than those discussed or made within these reports.